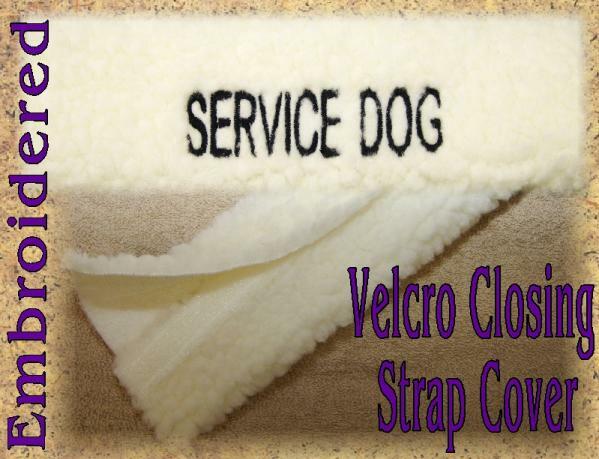 Select a Style: Off White - 8" Off White - 10" Off White - 12"
The hook and loop closing embroidered strap cover is made from a soft, man-made sheepskin material. 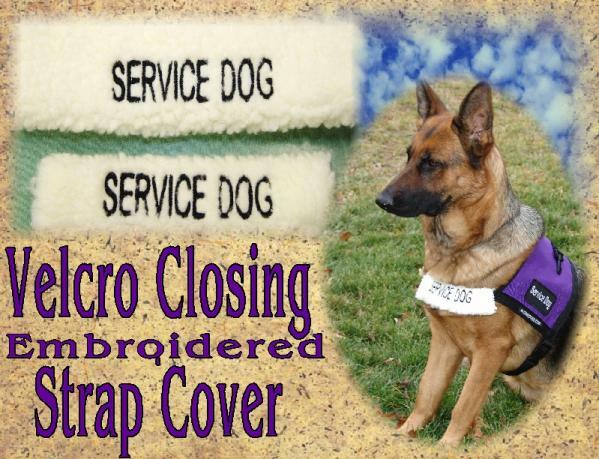 The hook & loop closure allows you to open the strap cover and wrap it around the chest or girth strap or handle of your dog's vest. 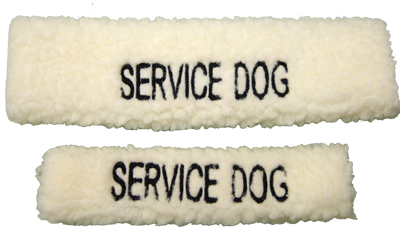 It is embroidered with the word “Service Dog” in bold print. 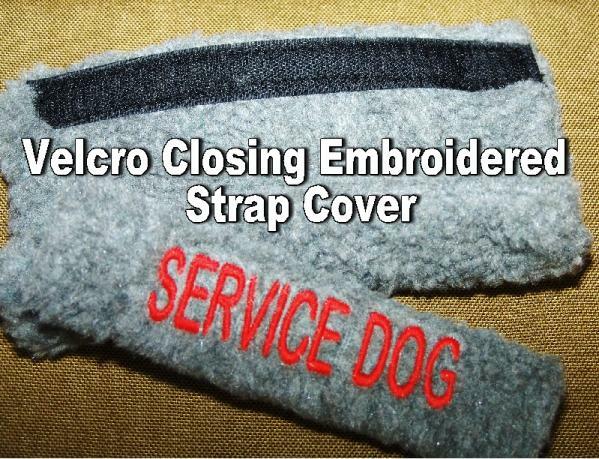 We use polyester, high sheen, embroidery threads for the lettering. Machine washable, line dry. 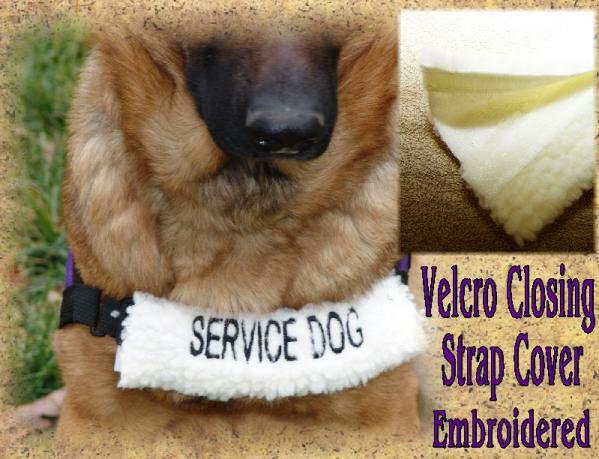 Fits straps up to 1.5" wide. Available in 3 lengths: 8", 10", and 12"